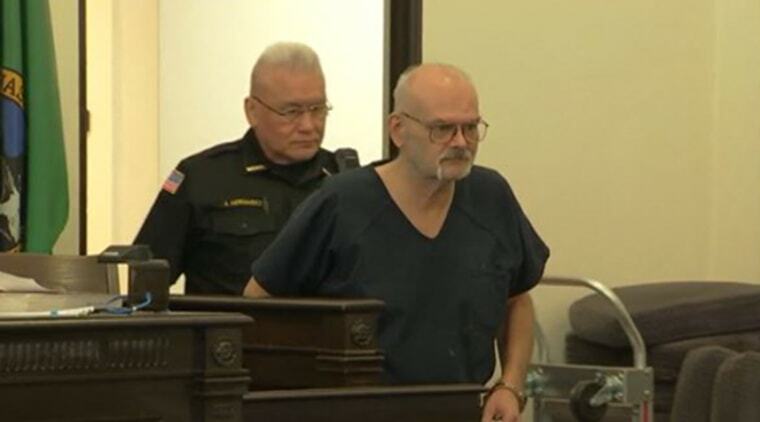 A Washington state man who fatally shot an intruder he found taking a shower on property he owned has been charged with first-degree murder, the Mason County prosecutor said Thursday. Bruce Fanning, 59, was arrested on suspicion of second-degree murder after the fatal shooting Saturday morning in Belfair, Washington, and on Wednesday he was charged with first-degree murder, Mason County Prosecutor Michael Dorcy said. Fanning is accused of shooting Nathanial Rosa, 31, as the intruder showered in one of two houses on Fanning's property, which had been broken into. The Mason County Sheriff's Office said after the arrest that circumstances of the shooting don't appear to support reasonable self defense. Fanning allegedly went to the house, which serves as his place of business, to start the day, found it had been broken into, and found Rosa in the shower. Rosa said something unintelligible that seemed to Fanning to be threatening, and Fanning went to the other house — which is his residence — to get a handgun, a sheriff's official said. Fanning allegedly returned and fired four times through a shower curtain, killing Rosa. Fanning said nothing before opening fire, and told authorities he believed Rosa was drunk, the sheriff's office said. Dorcy said his office spent considerable time looking at whether laws regarding justifiable homicide applied. "We don’t believe that that defense is supported at this time," he said. Fanning called the sheriff’s office at around 7:50 a.m. local time (10:50 a.m. ET) to report that he shot and killed an intruder who was showering in his business, the sheriff's office said. No attorney is yet listed for Fanning, a Mason County Superior Court clerk said. No one answered a phone number listed for him. Dorcy has said that investigators were told Rosa and friends were sending off a friend who was being deployed to Afghanistan, and they went to some bars before visiting a friend's home near the property where Rosa was later shot, and that home and Fanning's property look similar, according to NBC affiliate KING. Rosa's friends said he left at around 5 a.m. to get some air and never returned, raising the possibility he mistook Fanning's building for his friend's home, Dorcy said. Investigators aren’t sure what occurred in the hours after Rosa's friends last saw him, Mason County Sheriff's Office Chief Deputy Ryan Spurling said Thursday. His clothes were on the floor and were wet, and investigators aren't sure if he got wet somehow outside and was in the early stages of hypothermia; the temperature was in the 30s at the time, Spurling said. "We just don't know at this point," Spurling said. Fanning is free on $250,000 bail, according to court records. He will be arraigned Monday, Dorcy said.